If you had a magic wand and could make your business to be anything you’d want it to be, what would you make it. Sad thing is, you don’t have a magic wand. The great thing is you still can build your business to be what you want it to be. NOTE: In my best-selling book Amplify Your Business, I shared the concept of creating a vision statement. 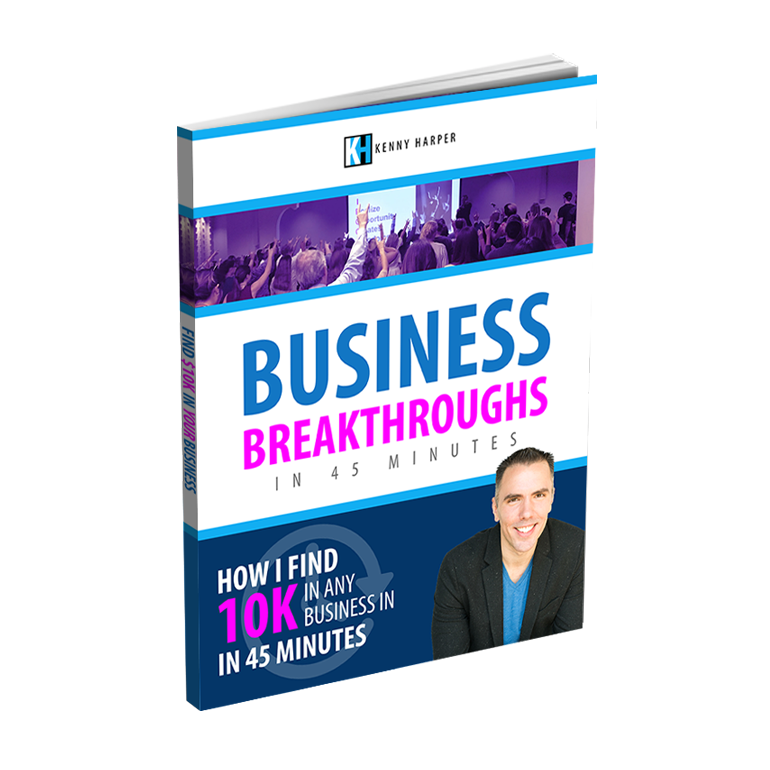 Since the release of the book I’ve elevated the concept of a BOLD Vision to not just be a statement but to be a visualization that encompasses everything you’d want your business and life to include. From when you wake up, to who you work with, what you do during the day, what you have in your life, everything you’d like for your life to have and how your business would work. And that is your BOLD Vision and everything you do in your life should help guide you to achieving your BOLD Vision. That being said, you should also create a BOLD Vision statement to share your vision of the company with your team. A vision statement is a declaration of an organization’s objectives intended to guide its internal decision-making. It is the picture of what you are aiming to build, how it will look and operate. 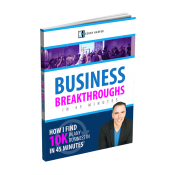 It’s the big picture of what you’re aiming to accomplish with your business. It’s not what you are trying to physically build, or how many offices you have, or what you will be doing for business but the end result that you are trying to achieve in the business. What are the Main Benefits of a Vision Statement? Defining where you are going and what you’re trying to achieve with the business. Being a guide to help you make decisions. Inspiring participants in the business on a deeper level by letting them know what you stand for and why you’re in business. Provides a larger focus and purpose for your overall actions. Draws in the powers of the law of attraction and visualization. There are many benefits but having the overall focus of what you are aiming to build is very powerful. Imagine if you were trying to build a building and you didn’t take time to envision it before starting to build it… How do you think it would look? Probably a bit awkward if it was even stable. Some of the best and most successful companies started out with a clear vision of what they were aiming to achieve. Sure it may change through time but it’s better to have a strong idea and alter it versus having no clear idea at all. How to Develop a BOLD Vision? To develop a BOLD Vision you need to think beyond a typical vision statement. 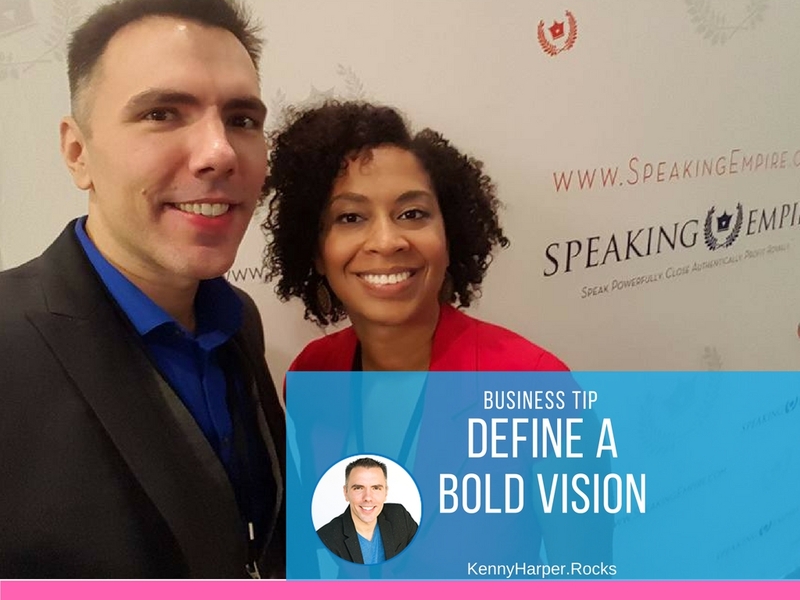 I still recommend that you define a vision statement but ask you to develop a BOLD Vision that stretches your imagination and provides clarity to the business that you aspire to build. When you envision a dream with clarity and focus you give it power and start to bring it into fruition. A BOLD Vision should inspire you, excite you and give you energy. To develop a BOLD Vision you must take time to write out your vision statement and then write out the BOLD Vision of what that looks like in a visualized form. When I started my first company, I totally missed this step. I wanted to be a freelance web designer and that’s just what I did. It wasn’t all that grand and didn’t have a large impact but that is because I never really planned for it. Now my personal BOLD Vision is to Inspire the World to Thrive by traveling around the world, connecting with like minded individuals and inspiring and empowering people to utilize their inner gifts and thrive in life. I continue to visualize what that looks like in my life and how it impacts others in the world. This gives me fuel and power to bring it into fruition. What Is Your BOLD Vision? What Do Are You Striving to Create?